The interior of the renovated library. 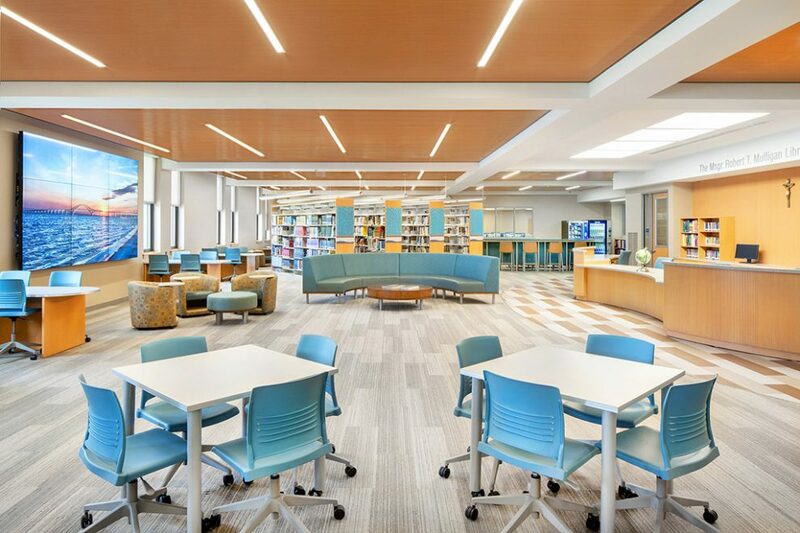 BBS Architects, Landscape Archite­­cts and Engineers has completed the $2.08 million redesign and renovation of the 8,200-square-foot St. John the Baptist Diocesan High School library at 1170 Montauk Highway. BBS served as architect; interior and furniture designer; mechanical, electrical, and plumbing (MEP) engineer; and technology consultant. The scope of construction work included the full demolition and complete build-out of the library within this prestigious private Catholic school operated by the Roman Catholic Diocese of Rockville Centre. “Our Msgr. Robert T. Mulligan Library had not been renovated or redesigned since the school was established in 1966. We wanted a modern library that would serve our students now and well into the future. We were looking for a multi-purpose venue that would provide an independent study environment, an informal social gathering setting, a meeting room, and a collaborative and flexible classroom and testing overflow space. The BBS design team has delivered a bright, welcoming, and functional library that fulfills all these needs,” said the school’s principal, Nan Doherty. “The school, parents, alumni and friends raised over two million dollars for the renovation over three years.” she explained. The old library was outdated and no longer served the needs of the students. Prior to the renovation, the space was filled with book stacks, some of which were empty due to the digitization of part of the collection. School leadership retained BBS to develop an updated program and redesign the library, as BBS is known for its extensive experience in both schools and libraries. “St. John School’s leaders and the architectural team consulted with students, faculty, and librarians in order to help define the optimal program. Primarily, all wanted to expand the library’s function as a place for students to both study and gather. It also needed to be highly flexible in order to accommodate a variety of meetings, classes, individual study, and group study, both large and small,” said BBS President and Principal Architect Roger P. Smith, AIA, LEED AP. The design process was performed in phases, as the school had to raise funds from private sources and donors, which took several years to complete. Within the main reading room, the design team reduced the number of book stacks for an abridged physical collection. The designers added the faculty conference room and the graphic design classroom near the stacks. The multifunction room is located behind a glazed movable wall by Nanawall that allows for physical and acoustical separation from the rest of the library when needed. A second, smaller reading room features reading tables and chairs, a 3-D printing station, and a study counter with high-backed stools along a glazed storefront-type internal wall separating the library from the hallway. At the far end of the second reading room is the school archive storage and study room, separated by a glazed wall and entrance. A new conference room that can accommodate up to 16 people has a board room­­–style table. The graphic design classroom houses more than 30 Apple workstations. The main library space features an oversized, nine-screen video wall for which content can be wirelessly controlled by librarians or students. BBS increased the amount of power going into the library to accommodate the new audiovisual/data connections and the high number of charging stations and power outlets installed throughout. The entire library is equipped with a robust Wi-Fi network. Several walls throughout the space feature writable Sherwin-Williams wall paint in areas used for group study and presentations, including in the graphic design classroom and the second reading and study room. “The main reading room has a centrally located reference desk and checkout counter; book stacks; a food-service section with two vending machines and a coffee maker; and a flexible study area with an oversized sofa, lounge chairs, ottomans, and a variety of tables, including formal study tables, lounge tables, and others that can be easily configured without the need for heavy lifting,” said BBS Project Manager Gary Schiede, AIA. BBS’s Interior Designer and Furniture Designer, Tracy Hansen, AIA designed much of the furniture based on a system by Palmieri. “We created wheelbarrow-style tables of various heights and shapes. Each has two wheeled legs, so the table can be tipped onto its wheels and easily moved to another location or reconfigured into a larger table for bigger groups of students,” said Hansen. She and her team also designed a rosette-style desk system for the multi-function room. The individual desks are a curved triangle shape and can be used individually or assembled together into larger, composite tables that resemble a flower, with separate workspaces between each pair of “petals” in the rosette. These tables all have outlets in them so that students can recharge their electronic equipment. The custom curved reference and circulation desk was fabricated by Palmieri. 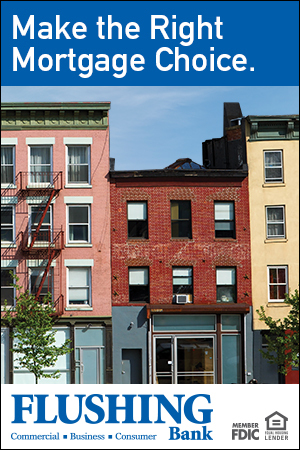 It is centrally located, allowing librarians a line of sight into all library spaces. It seats up to four librarians at a time. Along the wall behind the circulation desk are storage cabinets with a countertop for computer equipment and displays of artwork. The height was designed to allow for students to pull up chairs to have longer consultations with the librarians. The overall design of the library is quite modern, with contemporary materials and patterns throughout. 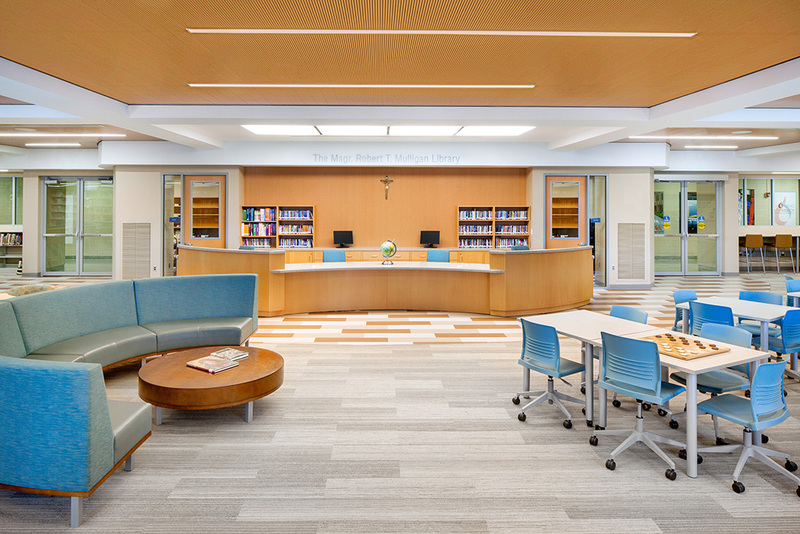 However, in appreciation for traditional wood finishes in many libraries, the designers specified Armstrong Woodworks acoustical wood ceiling panels throughout the main space. The panels feature slots and perforations for acoustical mitigation purposes. When specifying the soft furniture, BBS selected vinyl upholstery to enable easy cleanup since food is now allowed in the library. The team selected two oversized semi-circular sofas as main furniture pieces that allow for interactions among groups of students. One is in the food area and the other is in the main study area in front of the circulation desk. Linoleum modular flooring by Forbo was used to create the circulation path leading around the reference desk and towards the exit. The front desk in the library.